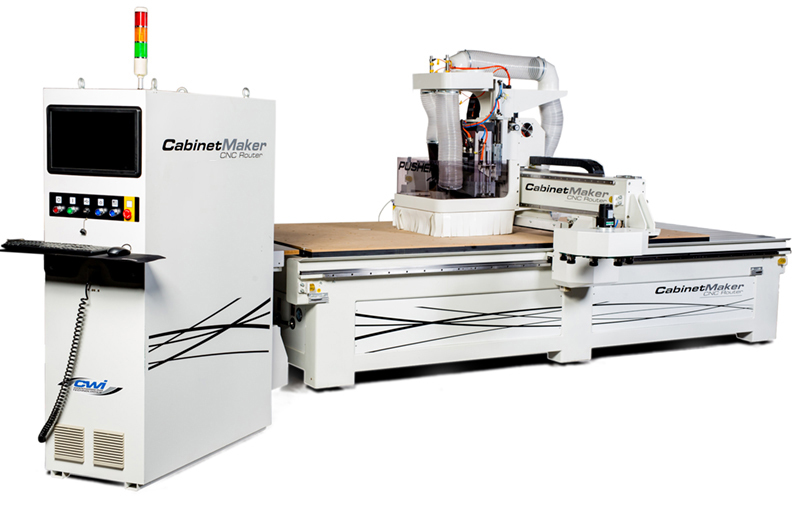 The CabinetMaker series of CNC nested base machining centers allow smaller manufacturers the capacity to profitably compete in their marketplace by completing customer projects with precision and cost control. 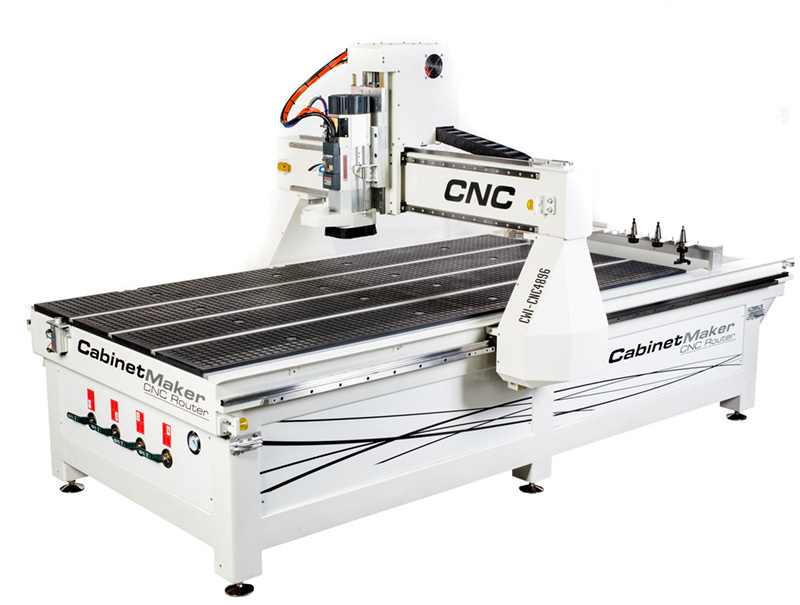 The CabinetMaker CNC Router offers high production capacity, yet uses less floor space and manpower than traditional manufacturing methods. 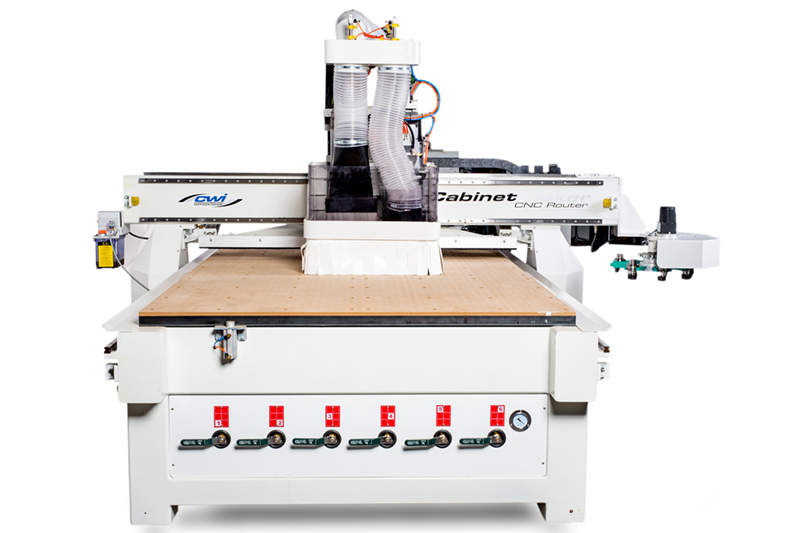 The CabinetMaker CNC Router is designed by CWI and assembled in the most advanced ISO factory in China, with its working components sourced from the top manufacturers around the world. 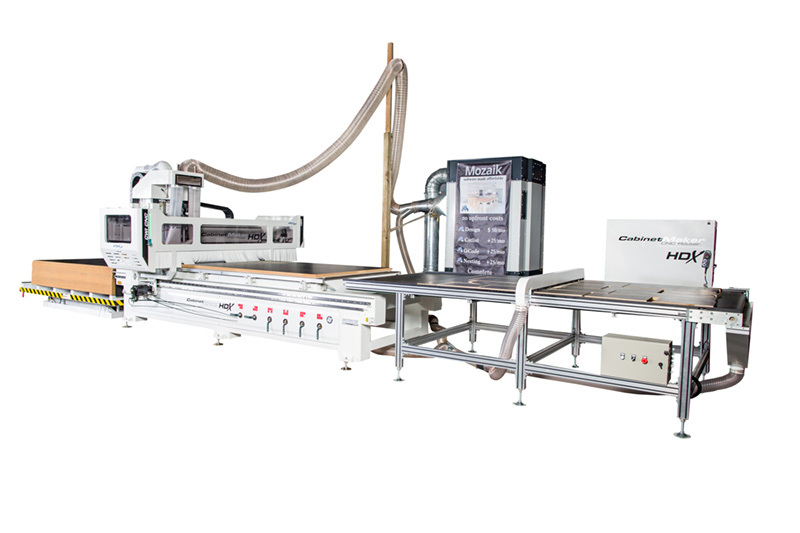 Brands like HSD, Becker, Omron, Schneider, Panasonic, Syntec, Delta, WMH Herion and more come together on this machine to give users a quality machine with amazing fit and finish, and extreme performance at an uncompromising value.